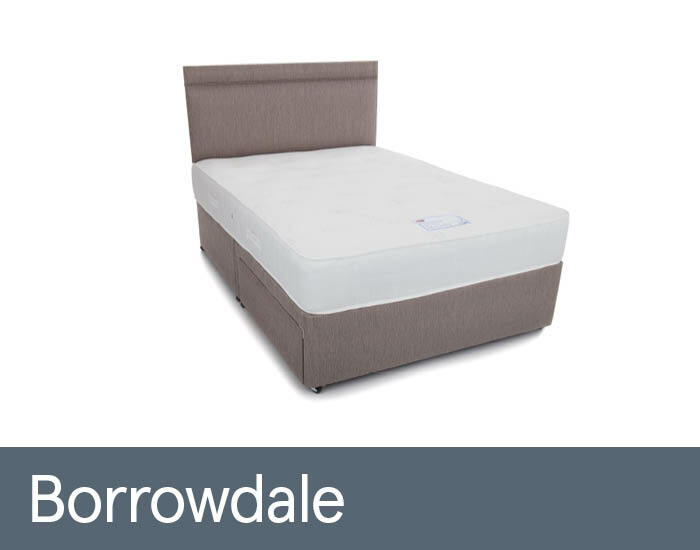 The Borrowdale manufactured by Sweet Dreams is a firm spring providing a firm support and sleeping comfort. The no turn mattress features a full layer of memory foam with a soft knit fabric to offer you a luxury feel. The traditional tufted mattress complete with a damask border gives exceptional comfort. Handles are to help rotate the mattress and vents for breathability. Range is available in Single, Double and King Size.